After receiving her PhD from the Institute of Parasitology at Macdonald Campus of McGill University, Marilyn spent two years at Imperial College, London, UK doing postdoctoral research in experimental parasite epidemiology. She returned to the Institute of Parasitology as an Assistant Professor in 1982. She was Director of the Institute of Parasitology from 1990-2000 and Director of the McGill School of Environment from 2008-2013. She is currently Professor of Parasitology and Associate Dean (Academic) for the Faculty of Agricultural and Environmental Sciences. Through her career, she has trained 46 graduate students and 6 post-doctoral fellows, and has published 1 book, 16 review articles and book chapters, and over 100 original articles. She was the 1991 recipient of the Henry Baldwin Ward Medal from the American Society of Parasitologists for her contributions to the field by a researcher under the age of 40. In 2006, she received the Robert Wardle Award from the Canadian Society of Zoologists (Parasitology Section) for outstanding contributions by a Canadian to parasitology. 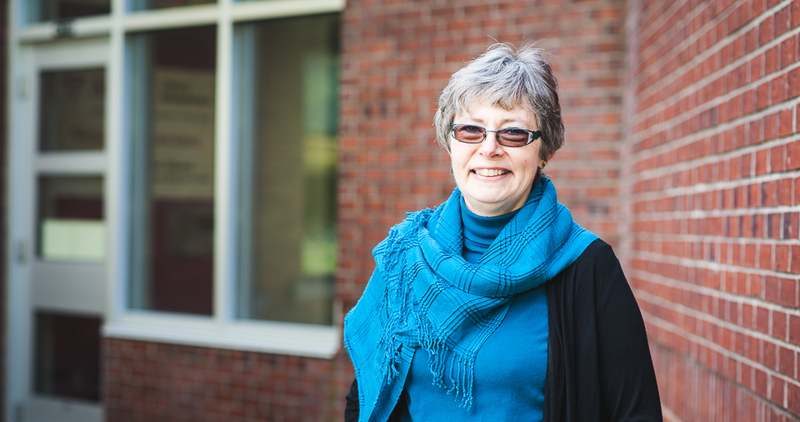 She was the recipient of both the Macdonald Campus and the Principal’s Prize for Teaching Excellence in 2011. Animals are host to a wide variety of parasites. Although people used to think that successful parasites did no harm to their hosts. Only those parasites that obviously caused disease or death were considered of relevance to the ecology of their host. Now, however, we understand that parasites lead to subtle, but important, changes that make a difference for the life of the infected individual, the infected host population and the community and ecosystem in which that host-parasite system is embedded. Our research explores the ways in which parasites influence their hosts, and the implications for their host populations. Nematodes in Mice: An active area of research concerns the genetics of host susceptibility or resistance to infection. I have shown that genetically susceptible strains of mice lose their susceptible phenotype when placed in large indoor arenas where they live with other mice as a population, and where they are exposed continuously to parasite larvae in their environment. I have also shown that this phenotype can be restored if rates of parasite transmission are elevated. I have studied the population dynamics of H. bakeri in free-running mouse populations, the transmission dynamics of infection, the role of parasites in regulating host population abundance, the factors that "predispose" certain individuals to heavy infection, and the role of infection in determining mate choice in mice. Much of my research over the past 20 years has focussed on the nutrition-parasite-immunity complex. In collaboration with Dr. Kris Koski of the School of Dietetics and Human Nutrition, McGill University, students, and other collaborators, we have undertaken experimental studies on the consequences of restriction of zinc, protein, vitamin A and energy deficiency, and components of fiber, in isolation and in combination, using the Heligmosomoides bakeri (Nematoda) mouse model. We have considered the effects of protein re-feeding as a means to improve the ability of the host to manage parasitic infections, the energetic trade-offs that occur when energy restricted hosts face competing demands of growth or reproduction, infection, tissue repair and immune defenses. Ectoparasites of Guppies: My lab is also investigating the effect of waterborne zinc on Gyrodactylus turnbulli, an ectoparasite of guppies. We have shown that infection substantially increases zinc toxicity to isolated fish and that it reduces survival and reproduction of the parasite. We have also explored the temporal dynamics of skin mucous production to waterborne zinc and infection, both alone and when combined. Veterinary Research: My lab has also been involved in a series of studies on the ecological changes associated with evolution of drug resistance in gastrointestinal nematodes, both in the mouse-model system, and also in sheep parasites. We have also explored the impacts of strategic treatment strategies for health of mixed sheep and goats herds in Kenya. Human Studies: We have also been involved in a number of community-based projects in developing countries including a study to evaluate the relative effectiveness of various control strategies in managing intestinal nematode infections in humans in Dominica, a health education program in Guatemala, and a study of parasite transmission patterns in the Republic of Congo (previously Zaire) and in Mexico. Nematodes in Mice: Our recent laboratory studies have focussed on the impact of maternal infection and protein deficiency on the growth and development of the mouse fetus and neonate, and have shown that maternal infection impairs linear growth whereas maternal protein deficiency reduces weight gain. We have linked impaired growth to shifts in cytokine and hormone concentrations in maternal serum, amniotic fluid and fetal serum. We are currently exploring the impacts of maternal infection and protein deficiency on gene expression in the placenta and the fetal brain. Ectoparasites of Guppies: We have explored the ecological implications of infection on guppy survival and reproduction, on competition with other fish. We have also examined whether factors known to influence the evolution of guppies (river drainage, ongoing exposure to a high predation environment) have influenced how the fish respond when the parasite is removed from the host population over several generations, or when the parasite is introduced into previously uninfected populations. These studies have been done both in the field in Trinidad and in the laboratory and together indicate that predation environment is not as influential as river drainage. Although infection reduces fitness of guppies, minimal downstream effects on community structure have been detected. We are currently using the guppy-Gyrodactylus system to explore metapopulation and metacommunity dynamics. Human Studies: Our more recent epidemiological studies have focussed on preschool children and on maternal and infant health. In Panama, we have used an ecosystem health approach to explore the impact of intensification of subsistence agriculture balance on the balance between improvements of agricultural production, food security, child diversity and child growth versus the risks of increased infection with soil-transmitted nematode parasites in preschool children. We have also explored the health implications of co-occurring intestinal, urogenital, skin, oral and respiratory infections and micronutrient deficiencies in pregnant women and in the mother-infant dyad in an extremely impoverished rural indigenous population. In Guatemala, we are exploring the complex network of maternal stresses (infection, nutrition, psychosocial) and their association with salivary cortisol and infant growth in a rural indigenous community. Among the infections, we are specifically concerned with subclinical mastitis, its association with cultural practices and beliefs, and its consequences on infant growth.